A bolt from the… um… grey? 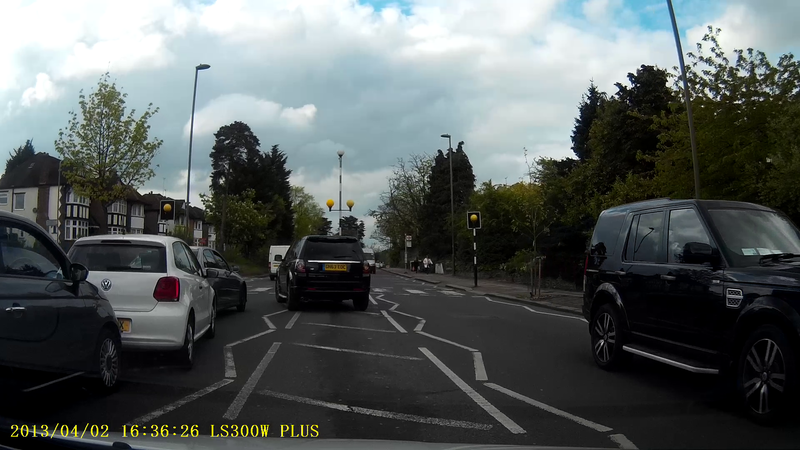 I bought a dashboard camera a few years ago, and have since upgraded to a better one. I’ve caught a few things during that time, but never thought I would catch this…. 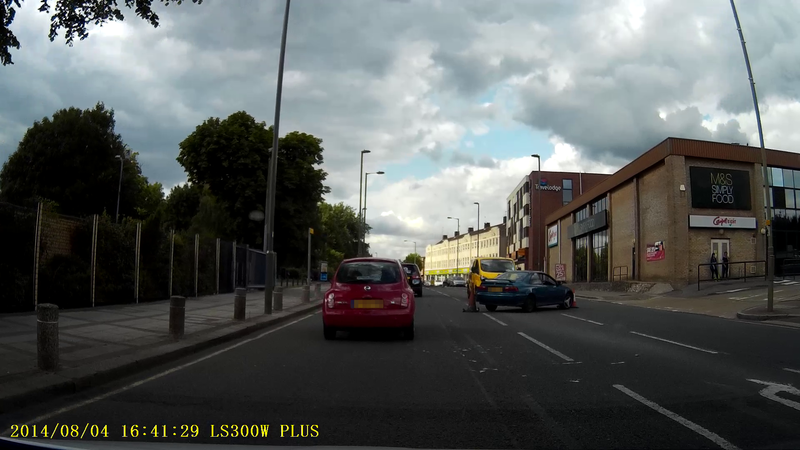 All of these photos took place in one second, and were taken driving down Whetstone High Road, North London. Photos were extracted using VLC and by slowing down the video to about 0.03x-0.06x speed then taking snapshots. I would have used mencoder or ffmpeg, but I’m not running Linux, and have no admin rights to install new programs on my box at work. And this is why they call it stopping distance. Two days this week I’ve driven to work in the early hours (~6am) and both days I’ve encountered some really dangerous behaviour. 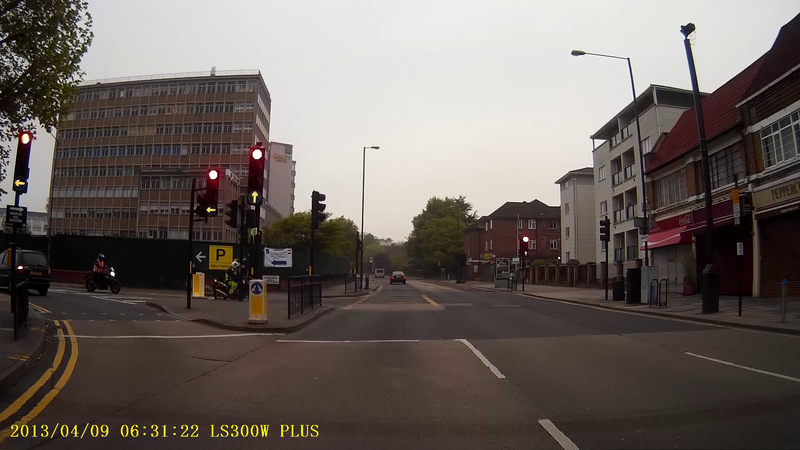 On Monday, outside Wembley Central station (http://goo.gl/maps/AFHp0), a cyclist cycled along the pavement, then dives into the road without looking back or signalling. I’ve said it before, and I’ve said it again. Road users on two wheels complain about not getting respect on the road. 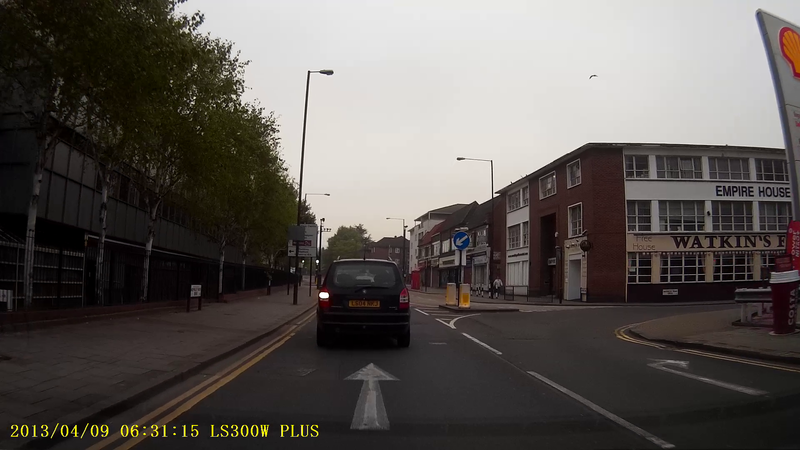 If you behave like this, how can you expect respect from other road users? 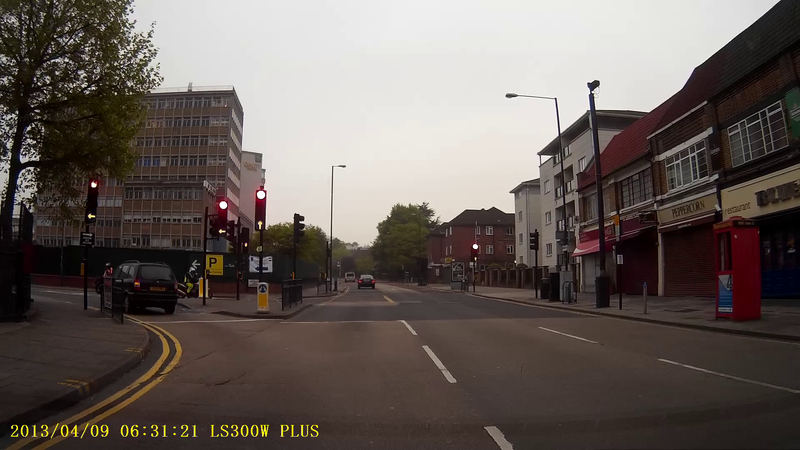 I have more gripes with motorcyclists than pedal cyclists, but the majority of my complains about the two-wheeled road users are the same: lack of signalling, darting in and out of traffic, jumping red lights, riding too close to car users then complaining when they are hit by wing mirrors. 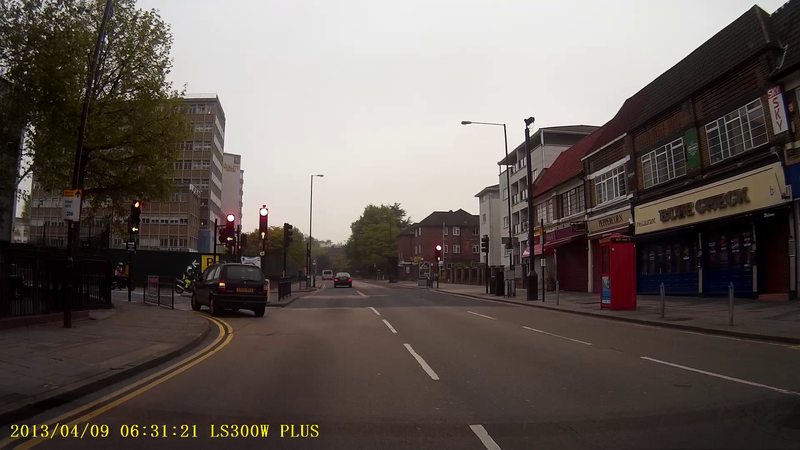 On Tuesday, I’m at the junction between the A504 Finchley Lane and the A1 Great North Way (http://goo.gl/maps/2HFBT). 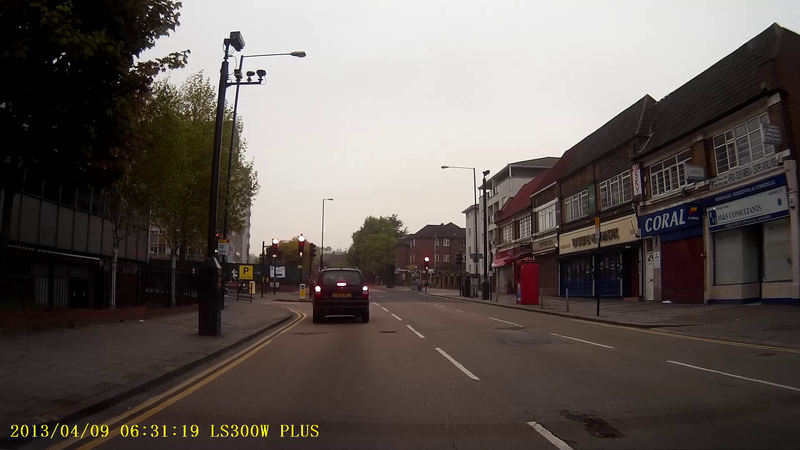 The A504 is a black spot for queue jumping, and I had a VW queue jump me at the junction – violating road markings in the lane which indicate it is right-turn only. 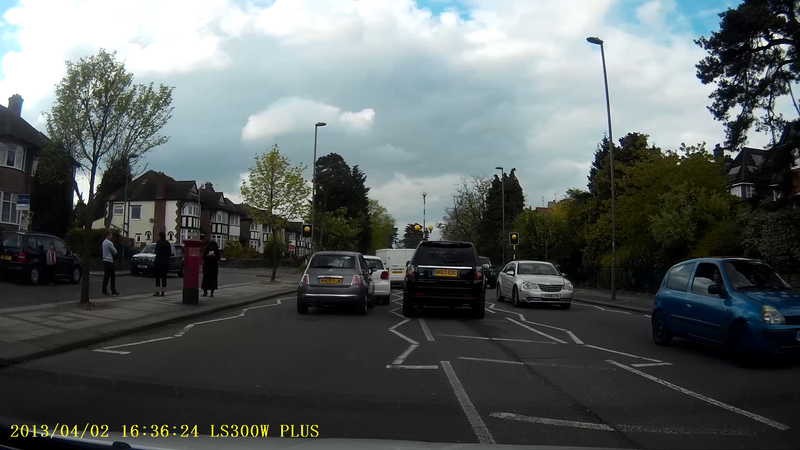 Then, if that wasn’t bad enough, further along, at the junction with the A504 Church Road/B552 Parson Street/A502 Brent Street (http://goo.gl/maps/MYemg), this same car then jumps the red lights.